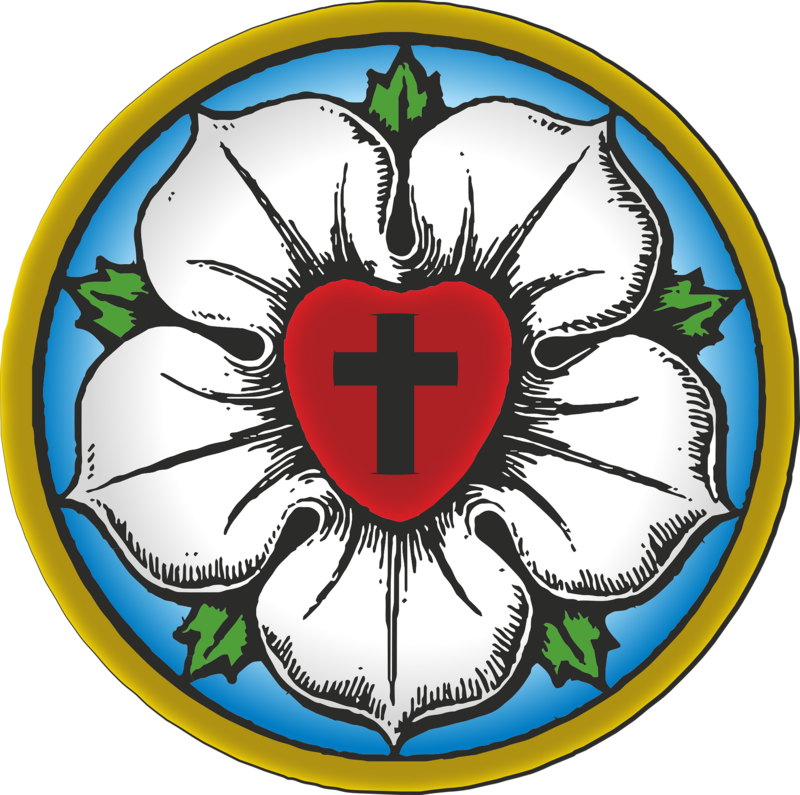 The ‘Luther Rose‘ has become a symbol of the Lutheran Church, familiar to Lutherans throughout the world. It was designed in 1516 by Martin Luther, who said that it set forth the basic elements of Christian theology. In 1530 he described the rose to a friend. He said that the black cross on a red heart reminds us that the crucified Christ saves us. The cross humiliates us and causes us pain, but also brings us righteousness and life when, in our hearts, we believe in the crucified Saviour. The heart is in the centre of a white rose, to show that faith brings joy, comfort, blessedness and peace beyond that of the world. The background of the rose is sky blue to show that this joy in the Spirit and in faith is the beginning of the heavenly joy to come. It is surrounded by a golden ring, to signify that the bliss of heaven is endless and lasts forever, and is more precious than all other joys and treasures. In a version of the rose carved in stone, Luther had the word ‘Vivit’ (He lives!) inscribed around the symbol.